Churning through a whopping half a million eggs, 110 tonnes of batter and 40 tonnes of flour every day to meet the demand of hungry Brits, Aunt Bessie’s has the UK’s largest Yorkshire pudding production site. In fact, the factory produces a bag of Yorkshire puddings every 1.2 seconds which adds up to an extraordinary 639,095,954 million Yorkshire puddings each year – if lined up that would be enough to stretch once around the world! Aunt Bessie's Chief Yorkshire Pudding Guru, David Barr. 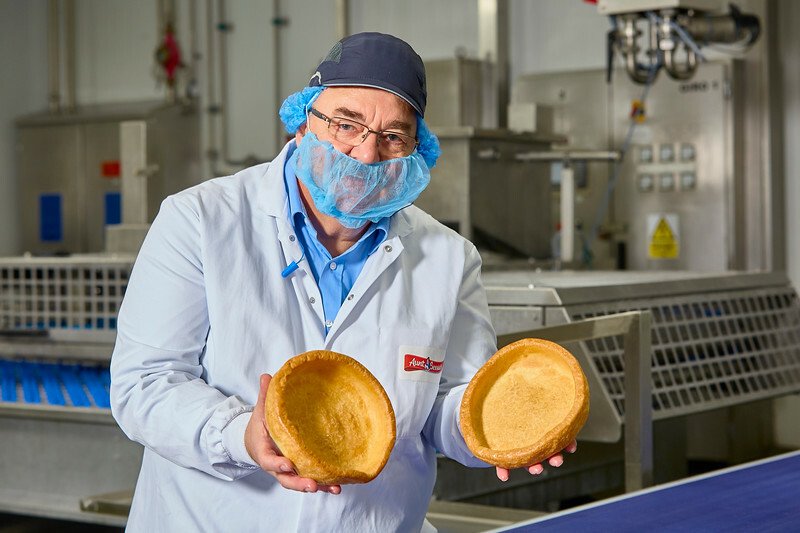 Aunt Bessie’s celebrates National Yorkshire Pudding Day on the 3rd Feb - with an exclusive peek inside its factory, which produces a whopping 639,095,954 Yorkshire puddings per year.